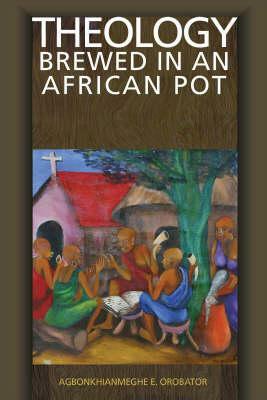 This is the round up of Agbonkhianmeghe E. Orobator’s Theology brewed in an African pot which I’ve been writing about for the past few weeks. This is just a book that teaches theology: it’s an example of an African doing theology more than a treatise on how or why it should be done. Many of the topics are the same as you’d expect to see in Australia: Trinity, christology, ecclesiology, etc. Orobator doesn’t mess with those categories, but he shows how the way they have been talked about in the west jars or is nonsensical in an African context. He uses illustrations and makes applications that come from the African continent. I found it a tremendously enriching read for my own spirituality, as well as for understanding African theology, because it gave me different ways of thinking about familiar concepts. It’s a pretty easy read, being introductory level and plainly written. As I highlighted in the first post, this is theology that drives you toward love, action, worship and prayer. Orobator is a Jesuit father and so naturally his Catholicity shapes his theology. Most of the time, this poses no problem, since much of this is just classical Christian theology. Though he places more emphasis on tradition than I would, he nevertheless has a high view of the Bible. He quotes from the Apocryphal books but the points he’s making could likewise be backed up from the Protestant canon. His discussion of Mariology was understandable to me. I found his discussion of grace difficult to grasp since it seemed to have more to do with creation than salvation (though, that’s my Protestant bias showing through) and I departed from his on what it means to wash your clothes in the blood of the Lamb (Rev 7:14). He seemed to think is was about living a life wholly dedicated to Christ; I’d think it’s about the atonement. Nevertheless, it is perhaps because of his Jesuit background that he has such a robust theology of general revelation which contributes much to his treatment of the relationship between faith and culture. I’m thankful for this brother, who is from a different tradition and culture from me, for his stimulating book. Orobator ends with a discussion of African spirituality. Particularly fascinating is his characterisation of the Africa as a continent of life, in contrast to the western media’s portrayal of death and destruction on the continent. But that’s one of the great things about this book – it’s hearing about Africa and theology from an African!